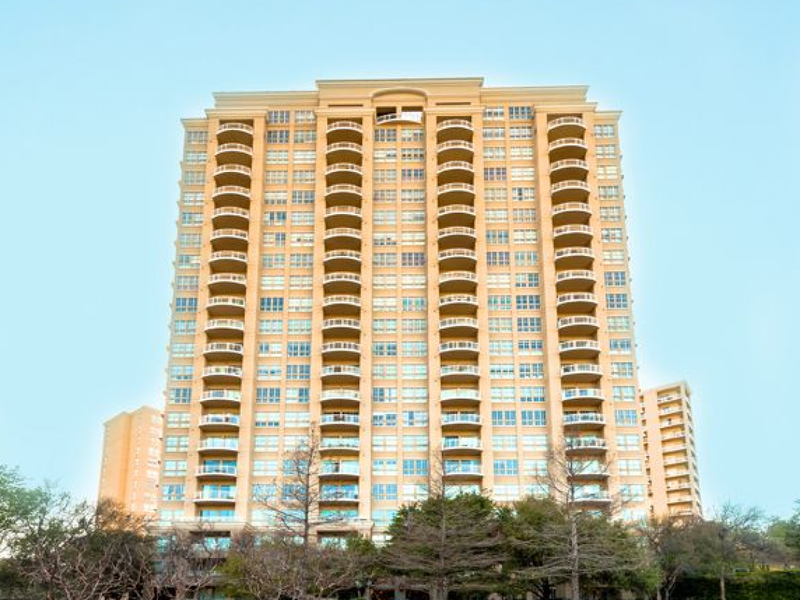 The Renaissance on Turtle Creek. PRIME LOCATION. PREMIER ADDRESS. PRESTIGIOUS HIGH RISE LIVING. Embrace the life of the elite in this exquisitely appointed 1 bedroom, 1 bathroom condominium with a balcony. Enjoy views of Turtle Creek, pool, jacuzzi, sundeck & cabana which convey a resort ambiance. Light and bright with fresh paint, medium stained teak wood, marble and granite floors. Kitchen with granite counters open floor plan, custom cabinetry and designer lighting. Walk to Katy Trail, Lee Park, Uptown, West Village. Resident Amenities:24 hour concierge, valet, gyms, sauna, pools, decks, Billiards & Party Rm, Tanning Bed. Covered parking space #307 and HOA special assessment FULLY PAID. $420 a month.